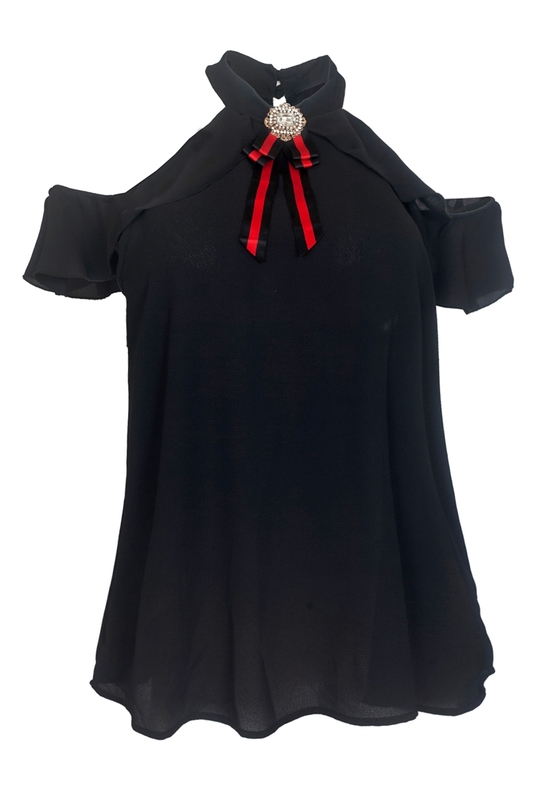 Plus size top features cold shoulder design with short sleeves. Chiffon fabric. Button closure round neckline. Ribbon pendant detail. Available in 1XL=Size 13/14, 2XL=Size 15/16, 3XL=Size 17/18.